At 5:30 a.m. on Monday, Jan. 23, we began to gather — at Albertus Magnus High School and in the parking lots of Saint Gregory’s and Saint Francis’s Church. It was dark, raining lightly and just about freezing. The roads threatened to be icy, but for the most part they weren’t. 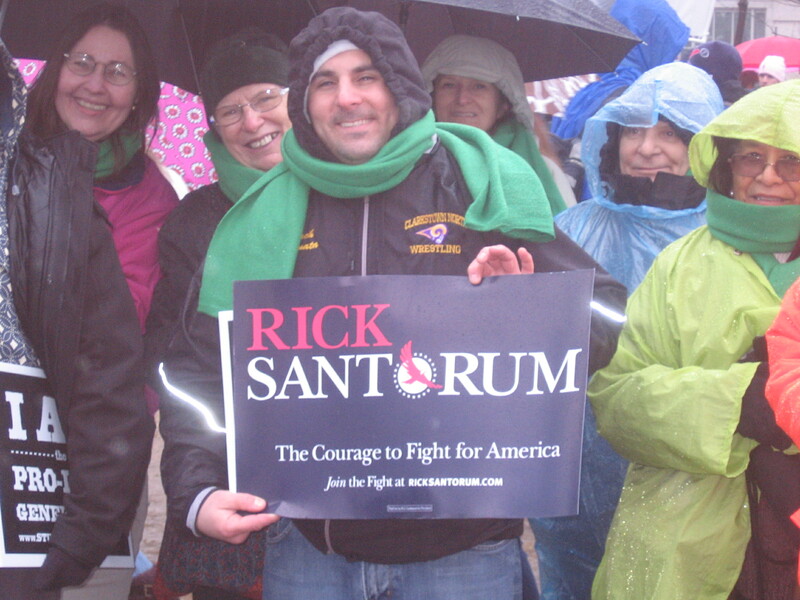 But no matter the weather, the prolife marchers from Rockland would be there. And so we head south to Washington, D.C., three buses among hundreds coming from all points of the compass, converging on the National Mall. There we’ll speak one message with one voice: Abortion must end. 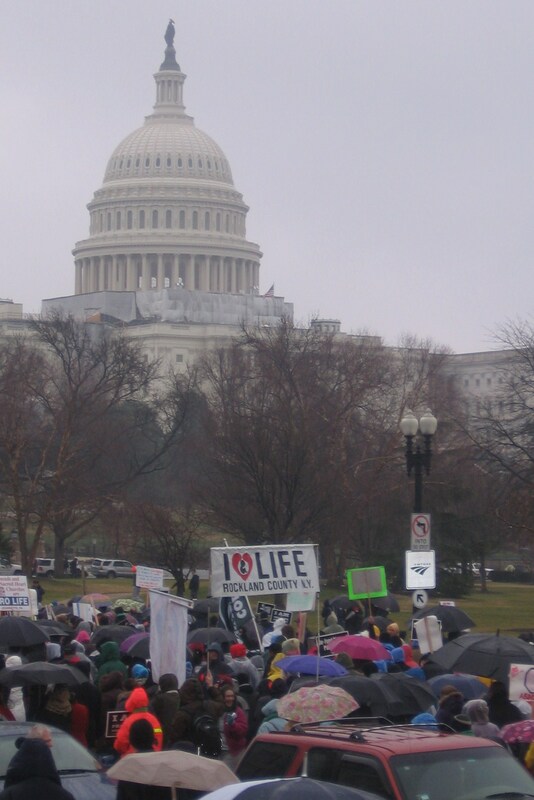 For anyone making this trip for the first time, the March for Life is a revelation. Getting up and out at 5:00 a.m. is a very early start, but the ride to D.C. is full of camaraderie, with everyone in this together, determined to make our voices heard, Yet we recognize that without God’s help, evil will not be overcome. And so, we pray the rosary together on the bus, this year saying the decades alternately in English and Spanish. Some of us read or talk with someone we didn’t know before this morning and some of us sleep. We enjoy a break at a rest stop in Delaware, and before long we’re getting off the bus just blocks from the National Mall. 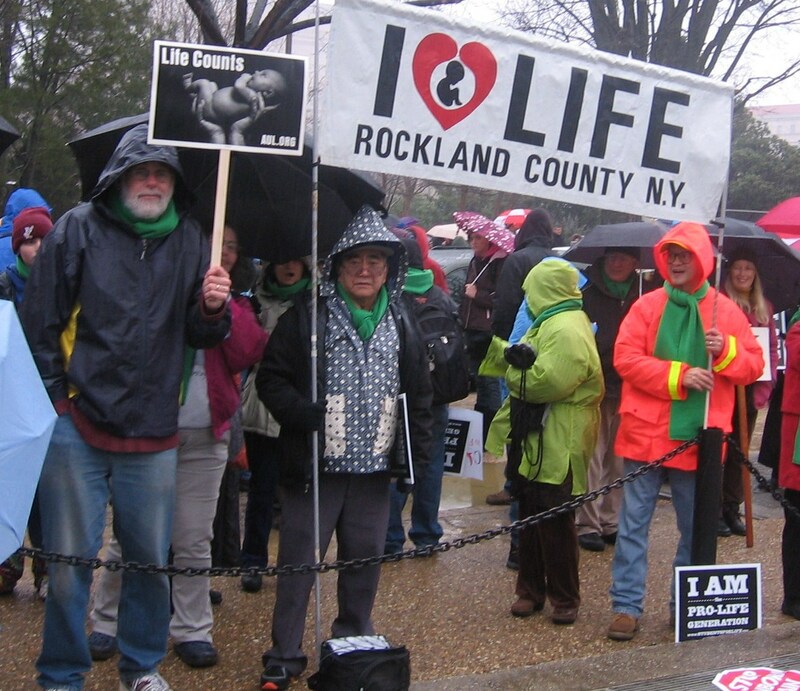 We put our now iconic Rockland Right to Life banner together. It’s a wonderful concoction by the late Tom Niblo – and getting the poles and banner together is our first challenge in D.C. each year. Walking to the Mall we see other banners from Pennsylvania and Missouri and North Carolina. People shout hello to the “New Yawka’s” and one man, happy to strike a note of introduction, tells me he lived in New York before moving to Massachusetts. 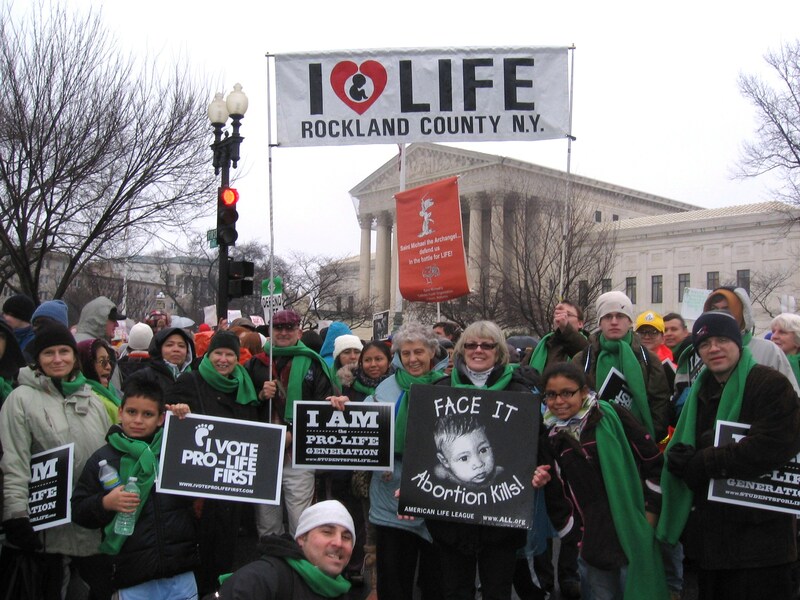 We choose a place on the edge of the Mall and claim it for Rockland Right to Life. We make our stand here. The program has just started, just some 400 yards from us. The stage is huge, like at a major rock concert, and the voices of the speakers carry out across thousands and thousands of prolife faithful. It’s now that the magnitude of this event becomes apparent. All these members of Congress, mostly men and women whose names we don’t know, are sticking their necks out and standing against the pro‑abortion crowd, those who hold so much of the power in Washington. These are the largely invisible heroes in the Congress. And, in some way, most of us are like them in our invisibility. For example, who among these do you know? Who among these is a household name? Rep. Dan Lipinski (D-IL) said it was time to “conquer the culture of death and spread the culture of life” in America. Rep. Geoff Davis (R-KY) has co‑sponsored several pro-life bills, including H.R. 361, the Abortion Non‑Discrimination Act, which would clarify a “conscience clause” provision to prohibit federal and state/local governments receiving federal funds from discriminating against healthcare providers and organizations that refuse to participate in abortion-related activities due to moral or religious convictions. There were four Democratic Congressmen co‑sponsoring this bill. Of course, there were speakers we all know, like John Boehner (R‑OH), Speaker of the House, and Chris Smith (R‑NJ), Chairman of the Congressional Pro‑Life Caucus, but it’s inspiring to hear from those who quietly support prolife positions in bills each day. In that regard, many of us on the March for Life are like them. 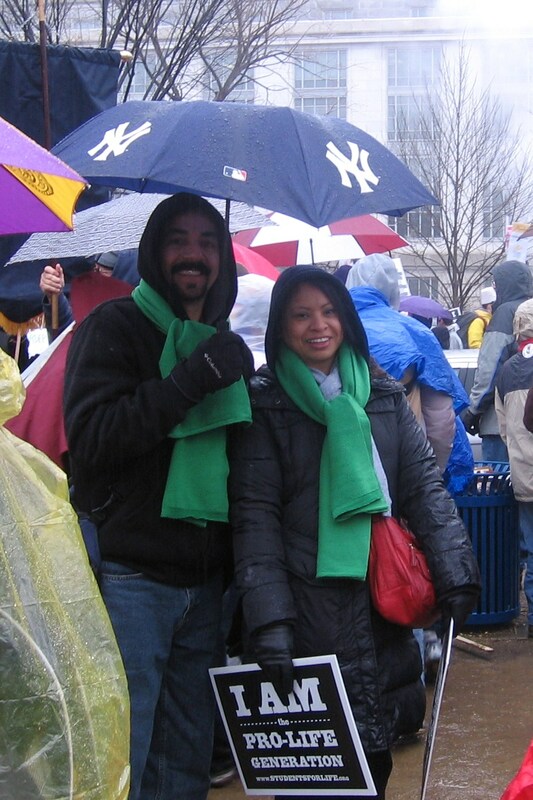 Nothing heroic here, but I found it inspiring to know that so many of us at the March for Life are committed to the prolife cause every day even if we aren’t active volunteers in our local Right to Life group. I met one young man who was articulate and entirely supportive of the prolife cause, but he can’t volunteer to do more right now. 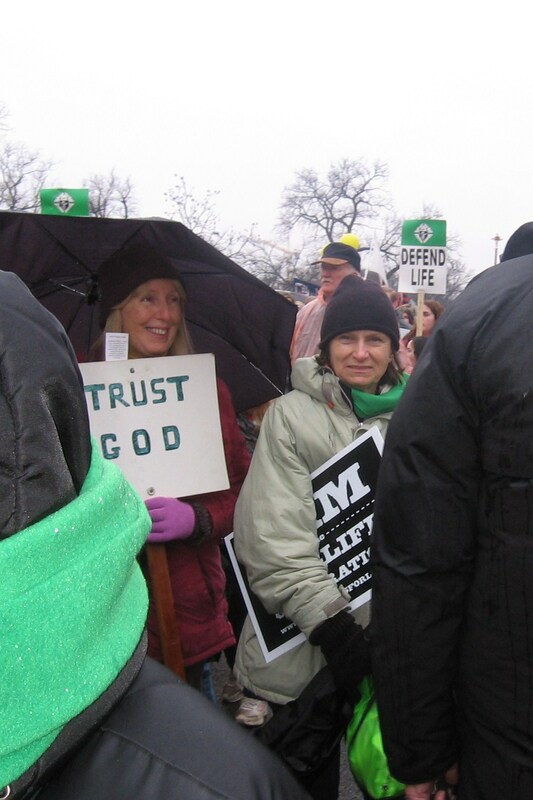 Two ladies from Cleveland weren’t able to stand out in the weather and then march from the Mall to the Supreme Court, but they came all the way from Ohio to the Basilica of the Immaculate Conception and prayed that one day the right to an abortion would be no more. Bro. Jorge Mateos and Rev. Francisco Sandoval, Order of the Augustinian Recollects, from the Tagaste Monastery in Suffern. Over 20 clergy and lay people from Tagaste attended the March. Our bus ride home felt good. We had added our presence and our voices to the hundreds of thousands who came to Washington to stand for life, to oppose the culture of death and to let the nation know that we will never be silent. Having returned home now, some of us will take up the cause in a new way by volunteering to help the Right to Life cause at home. For others, that time will come later. 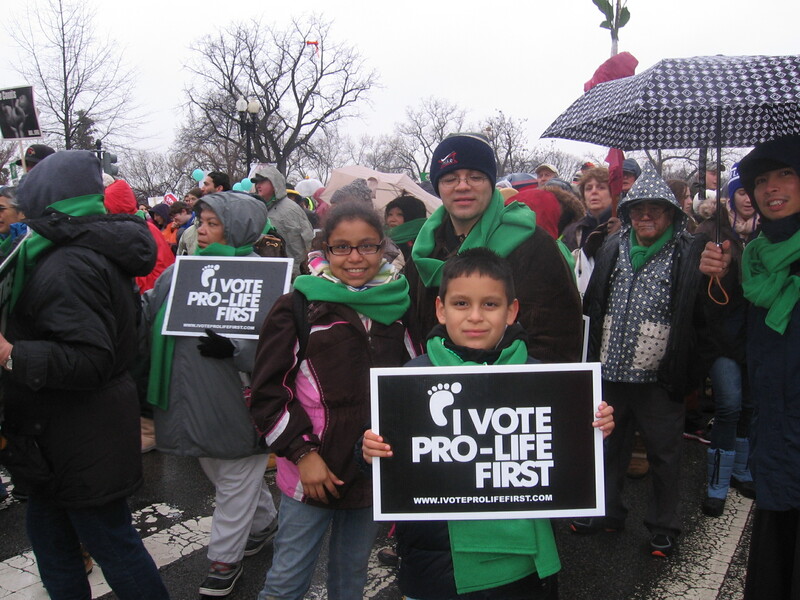 But all of us who went to Washington for this March for Life have been inspired by the breadth and depth of this movement: families, adults of all ages, and children and teenagers who truly are the faces of the future. 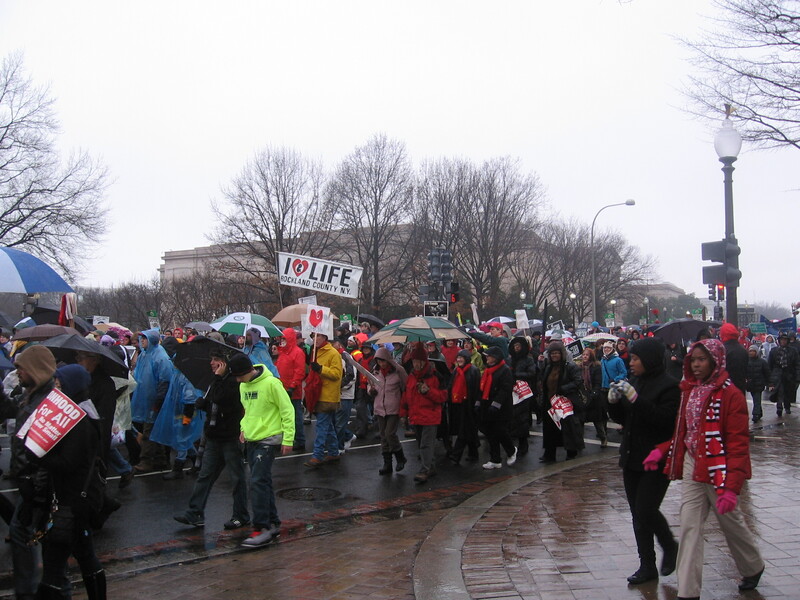 The Right to Life March is something you must experience. It’s something most of us can do, even if we go only to the Basilica like those two ladies from Cleveland. And for many who cannot, you can still be part of this event through prayer at home while watching on EWTN. When we march together, we realize we’re part of something very much bigger than ourselves , and by joining with us in the spiritual bond of your thoughts and prayers, you’re part of it too.